Just in: Ali Zafar dishes on Deosai, his first film production! "I waited for that right intuition and idea for my first film as an actor-producer and I am extremely happy with the way it has shaped up," said Ali Zafar. It's official, folks! Ali Zafar is adding another feather to his cap: the actor is finally taking the producer's seat for an upcoming film. Titled Deosai, the film will be an action drama set in the Pakistan's Northern Areas. The film's shoot will begin in the summer, and is expected to release in mid-2016. 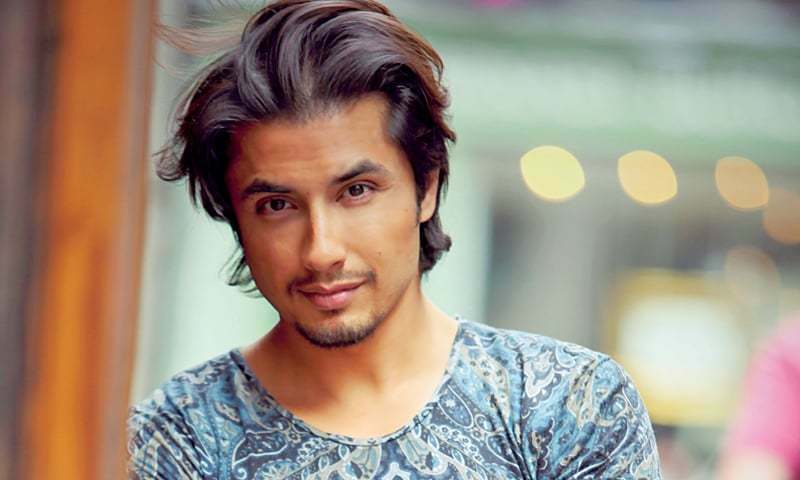 Ali Zafar has roped in Imran Babur, whose previous work includes documentary Without Shepherds, to direct the film. Zafar will play the male lead in the film, and a search for the female lead is ongoing. "Having worked intensely in the Northern areas, I fell in love with the idea and story Ali shared with me. It's an extremely powerful story and I am excited and honoured to be a part of this project," said Imran about the project. Talking about the film, Zafar said, "Being an artist who likes to discover the intricacies of various art forms, and experience his relationship with them, for me venturing out into creating a feature film, is a most thrilling beginning." He added, "I have been wanting to play my part in the revival of our local cinema industry and make films that are not just avant-garde in their narrative and aesthetics but also mean something. Films that can make a difference and are remembered for a long time for their content besides aiming to be successful commercial ventures. Which is why I waited for that right intuition and idea for my first film as an actor-producer and I am extremely happy with the way it has shaped up." "I love the mountains and can't wait to visit and shoot in all those breathtaking locations in the north specially the second highest plateau in the world, Deosai, known as the land of the giants, after which we have named the title. I am most excited and feel lucky to have found a great director and team who have the talent and experience to translate this dream into an inspiring reality," said Zafar . Well come in GB the paradise on the Earth...!! the roof of world Deosai...!! One suggestion: give it a feel of a major motion picture instead of a slow paced drama serial. Trailers of Pakistani movies are often enticing but the movie feels like a small screen production. Nothing better than the beauty of Northern Pakistan, to showcase our country's ignored beautiful face. Too bad nobody else has done it yet..
Dude, get good in one field, you're like hopping around without perfection!